"There are some excellent, imaginative touches in the adventures, and I expect you'll find it worth investigating. Recommended." -Merric Blackman, Merric's Musings. It's Always Sunny in Waterdeep: For too long, Frewn and his bar has been a thorn in the side of Trollskull Tavern. He's been trying every dirty deed in the book- but can he take it as well as he dishes it out? It's time to settle up with Frewn for good. 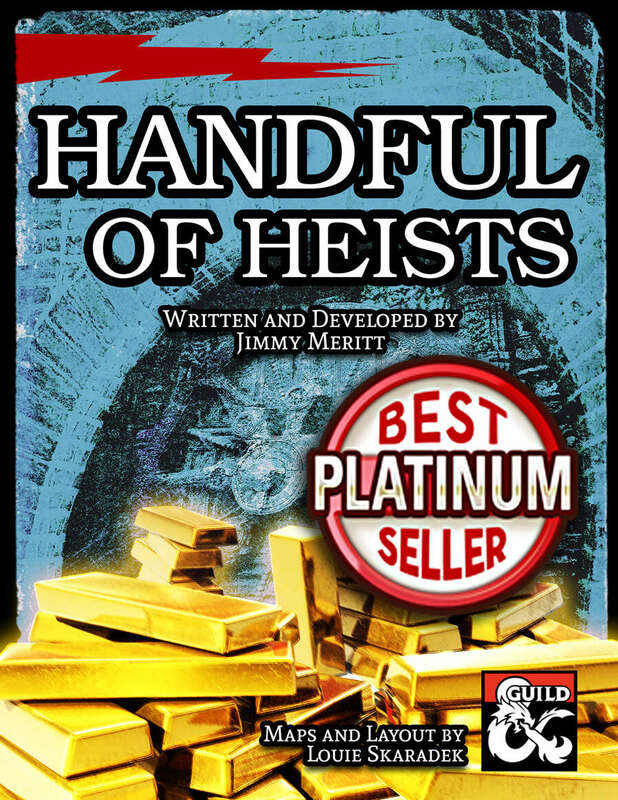 Husteem's Vault: Prove there's no honor among thieves by breaking into the vault of the most notorious fence in Waterdeep. 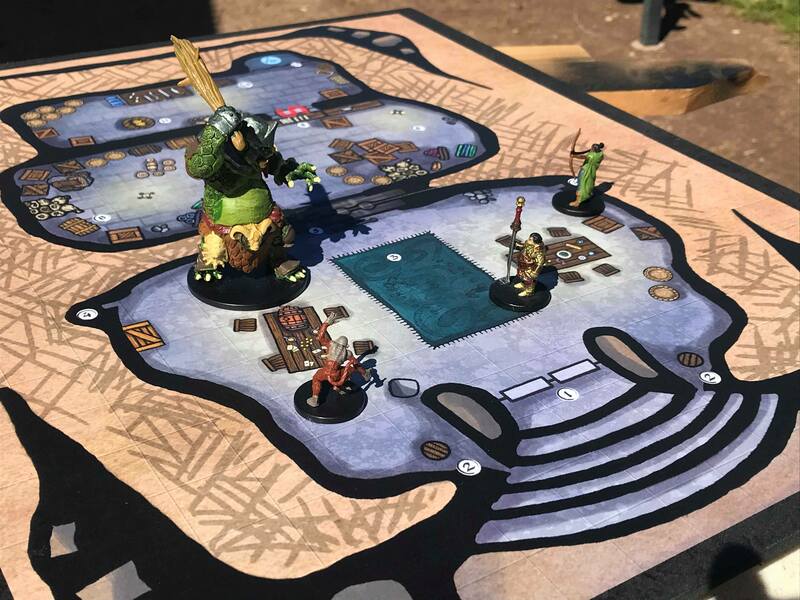 Get past the guards using combat, stealth, or social maneuvering, navigate the tricks and traps, and get out before alerting the attention of the Xanathar Guild! 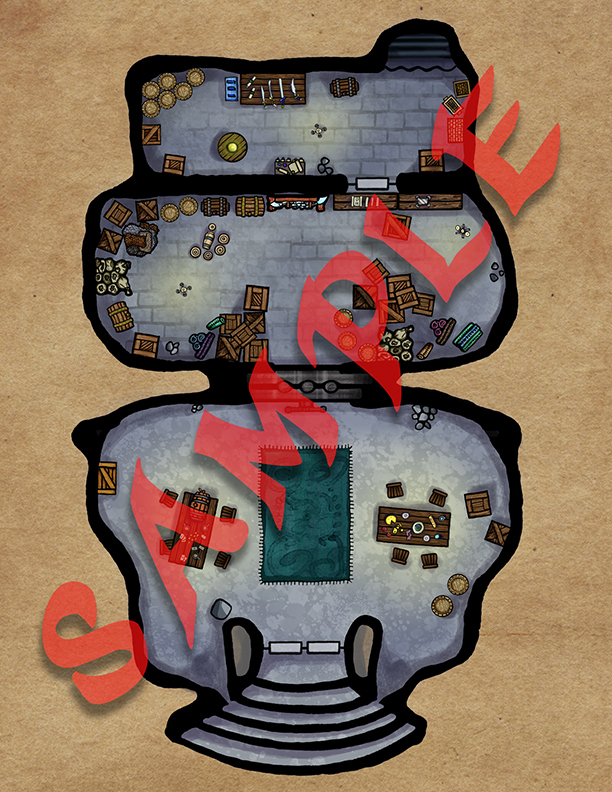 This adventure contains a full color battle map of the three room vault- one keyed for DM use, one player facing version with grids, and one player facing version without grids. The Lock Blocker: Give social based characters a chance to shine in this con, set in the Yawning Portal. A wealthy knight makes for an easy mark, if you can drive a wedge between him and his adoring savvy squire. Tower Heist: In the centerpiece caper, team up with Black Viper, put together a crew of willing and unwilling participants, and pull a job on the most impenetrable building in Waterdeep- Aghairons Tower. 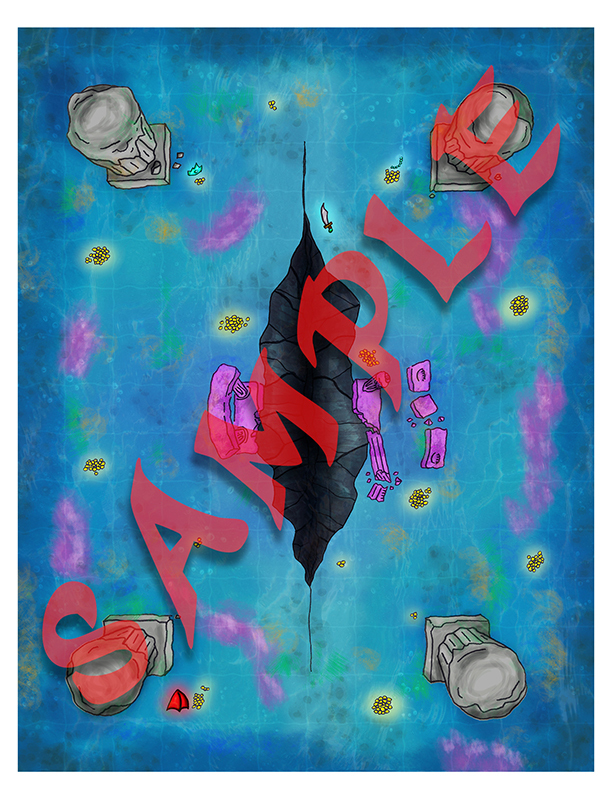 This adventure contains four full color battle maps- The Tower Supply Room, the Tower Study, The Tower Summoning Room, and Aghairon's Tomb. These come in two versions- one keyed for DM use, and one player facing gridded. 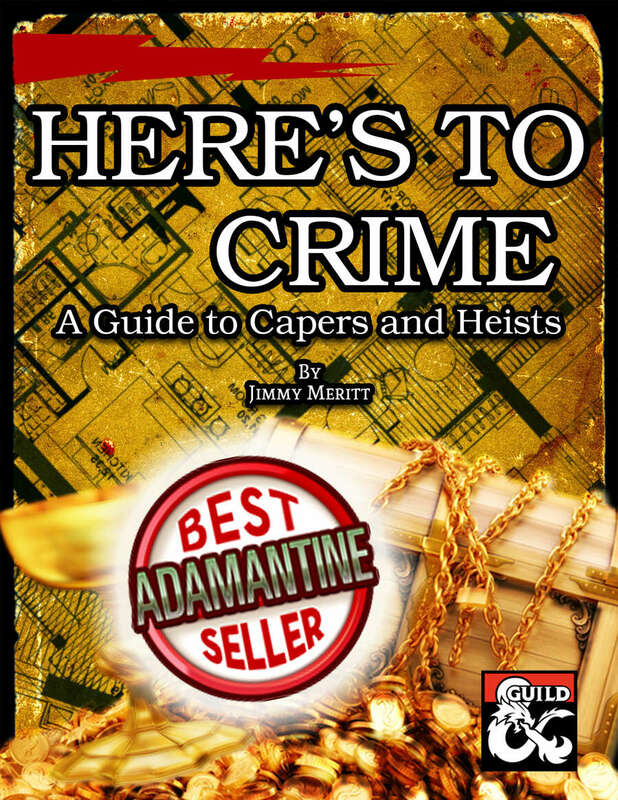 If you enjoy this, also check out "Here's to Crime" a set of house rules for running "Ocean's 11" style sessions in D&D.